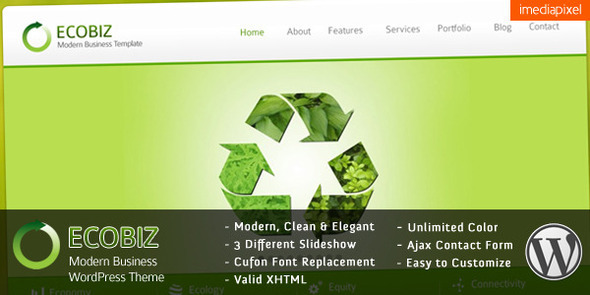 The Ecobiz theme is marketed for the "green" business, but it's more than just that. It has all sorts of options to change the background image color, texture, and design. It has slideshows, Cufon fonts, unlimited color, and Ajax contact forms.